Background/Info: Shadows In The Dark [:SITD:] are back on track unleashing their newest opus featuring 10 songs (for the regular edition) and an extra disc with 6 songs for the limited edition. This is the seventh full length for the German trio. Content: “Trauma: Ritual” reveals all the experience and maturity of this German combo, which is now active since 1996! I can’t really say that they innovate on this new work, but simply excel in the composition of efficient dark-electronics. It’s not just dark-electro, but a work featuring other inputs like EBM and great, melodic leads. I can’t really compare [:SITD:] with any other formation, but there are similarities with Rotersand and Funker Vogt. There’s a link in the sophisticated writing and carrying choruses. Music and vocals together create a compact and powerful production resulting in several attention grabbers. The opening song features Dennis Schober (Solitary Experiments). The bonus disc reveals 6 extra cuts, which are alternative versions and remixes by Intent:Outtake and Aesthetic Perfection. + + + : “Trauma: Ritual” is characterized by a constant, danceable power while the songs have been accomplished with brilliant melody lines. The work sounds totally accomplished and there’s no single song to throw away. The 10 songs stand for a high degree of maturity while you’ll discover potential hits such as “Zenit”, “Walls Have Eyes” and “Genesis”. The previously released EP “Brother Death” was a strong appetizer and this opus confirms the talent of [:SITD:] . The bonus disc features a few extra cool songs. I want to tip the “Single Version” of “Genesis” and the “Extended Version” of “Incendium”. The original version was featured on the “Brother Death”-EP. Intent:Outtake did a great job remixing “Mundlos”. Last, but not least I also like the digipak format. – – – : If there’s one single minus point about this new work it must be the lack of innovation. [:SITD:] holds on the same-old sound formula, but is there any reason to change? 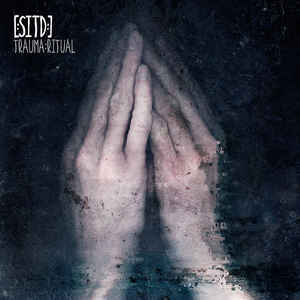 Conclusion: It’s hard to say if “Trauma: Ritual” is the best work [:SITD:] has ever released, but it for sure is one of their most accomplished and solid work to date. If you like dark-electronics carried by danceable rhythms, melodic leads and great vocals you for sure gone love it! 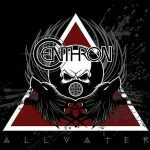 Best songs: “Zenit”, “Walls Have Eyes”, “Genesis”, “Cicatrix”, “Companion” + “Genesis – Single Version”, “Incendium – Extended Version”.